Carla Creates: People Say I'm Crazy! We have a new song on our October playlist at Scrap it with a Song today - - the spooky 80's tune "Somebody's Watching Me" by Michael Jackson & Rockwell. Hope you'll stop by Scrap it with a Song - - the Rock Chicks and our two fabulous October guest designers have come up with some fabulous inspiration for you this week! We'd love for you to play along! What a fun layout! I love that song! This challenge site is new to me. I will have to check it out! Fabulous job on your layout Carla! Very good! I love that you scrap all sorts of things! Carla, I love this layout! 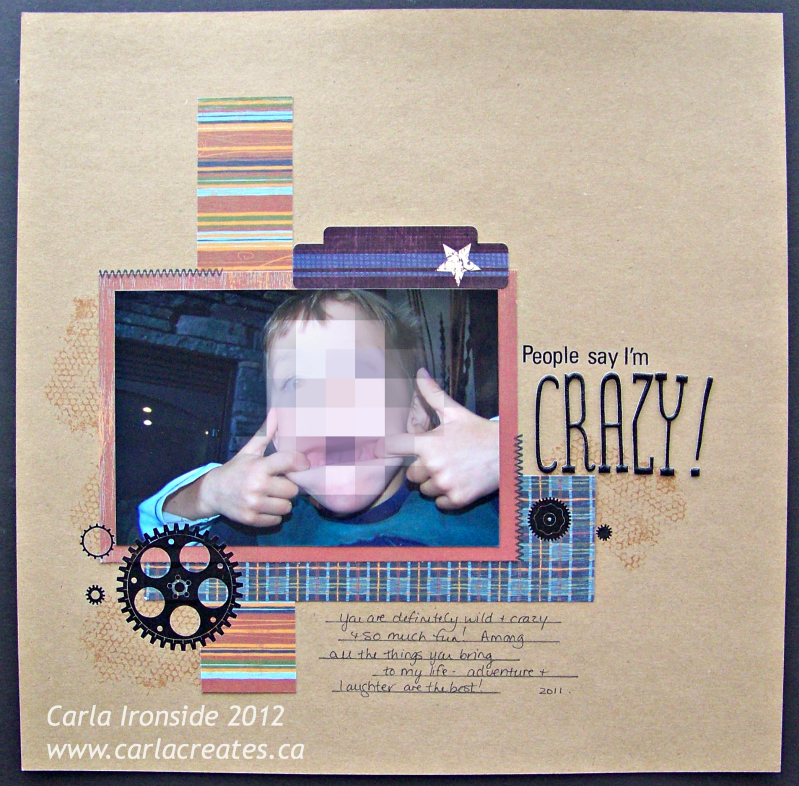 The simplicity, but also where you added the stamped and rub-on images are all just fabulous!